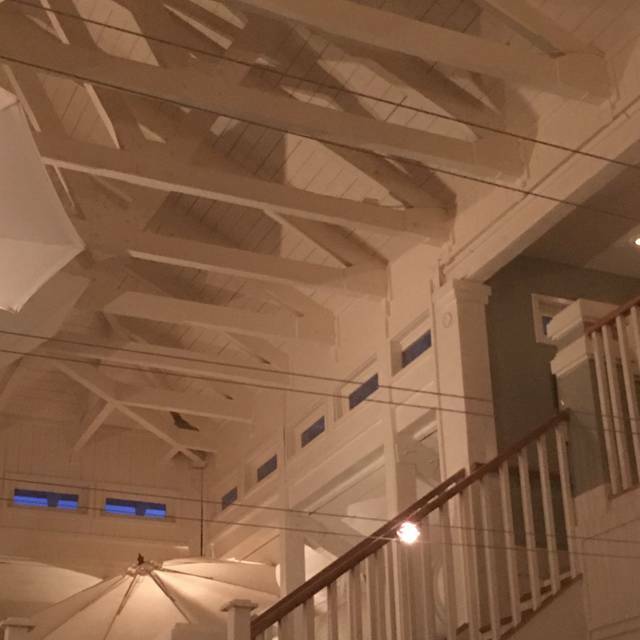 Private dining is available in one of our two private rooms, The Fishbone Room (25-80) or The Side Porch (35-55). 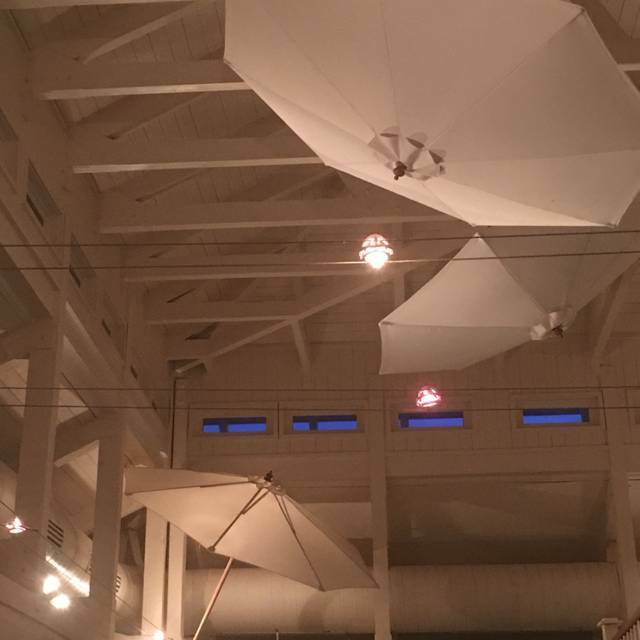 In addition, the entire restaurant accommodates 250 for seated dinners or 350 for standing buffets--all individualized to reflect your vision, resources and wishes. The food was excellent. Th service was good. Little noisy, but an overall wonderful dining experience. Took my fiancé there for Valentines Day. It was our first time there and we have definitely marked it as a local favorite! The food, staff, and atmosphere was excellent. Cafe 30-A is always outstanding. It is our go to restaurant for dinner and entertaining. We had a wonderful meal. Everyone raves about their dishes and our server was excellent! Celebrated my husbands birthday here. We were told by many people this was an awesome restaurant. So true! We will be back. Best thing in the restaurant.......the FOOD!!!! Dinner with friends at the always wonderful Cafe Thirty-A did not disappoint. All meals prepared as ordered, tasty, and fresh. 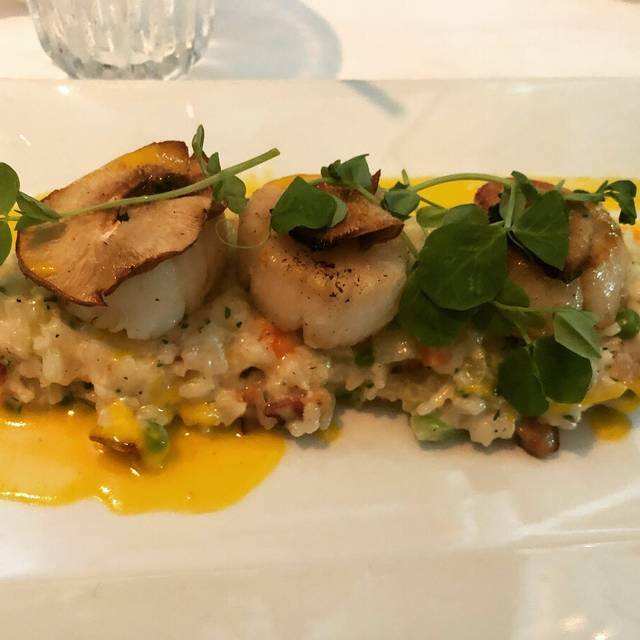 We are locals, so it’s nice to have a consistently good restaurant where we can dine on and off season. And love $5 martini night. As before, a great meal and efficient service. Food and menu are excellent, and on busy nights, valet parking. Greeted poorly by staff at door. No smiles .First impression was negative. Getting food was prolonged. Waiter was good; did best with what he had. Crab cake was good. Beet salad not what I expected ( compare with Edward's at Rosemary) . Tasted like canned beets. Menu prices have increased . Overall we were disappointed. Used to be a place you could count on, not by last visit on 1/17/2019. 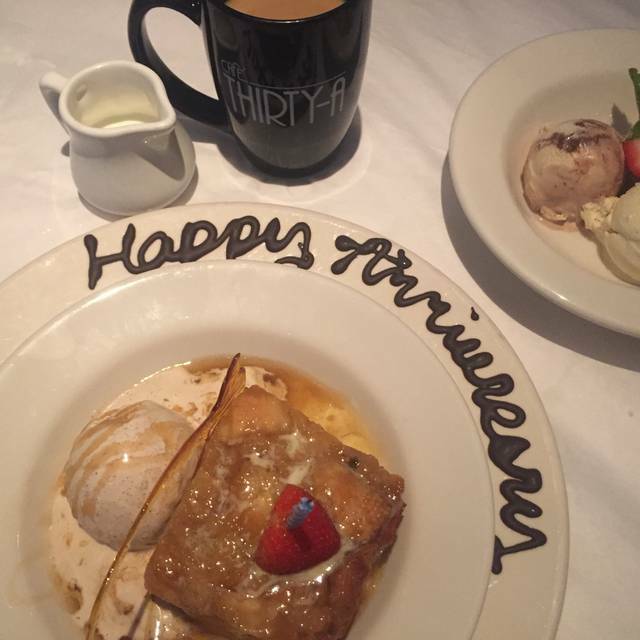 We celebrated our 43rd Wedding Anniversary this year at Cafe Thirty-A ... The setting is very nice, our server Alex, took very good care of us! Very helpful with the menu recommendations.. The food was excellent from beginning to end! We will defiantly visit again! We have visited #0A numerous times and are always pleased. This trip we had a party of six and each of us enjoyed our meal, the atmosphere and the service. Ask for a special table. Didn’t get it had to ask to be moved to another table. Ambiance is not so good there. Better after we got second table. I think. They should pay more attention to customers request on the open table restsevation . Delicious food and the service was exceptional. Our waitress was friendly and informative. Very slow service from the kitchen but the food was excellent when it arrived. Would have liked dessert as it was my birthday but our time was running short as our friends had a sitter until 8. Waiter was ready and willing but the food took too long coming out. We thoroughly enjoyed the food and the ambiance. The ahi was superb and the snapper even better. Jennifer served us and nailed wine and dessert recommendations; she was outstanding. Overall, an outstanding meal. We’ll return soon. Excellent food and wait staff was fantastic. Plan to visit often ! We had an awesome dinner and the service was superb!! It was my birthday and we had a great meal. Jennifer was our server and did a fantastic job. We didn’t feel rushed and our food came out just as expected. We love coming here for our Anniversary, Birthdays and when friends and family come to visit. Great service and food. We will be back! Delicious food served by wonderful servers. This is my third time here and I’m always impressed. The Happy Hour deals are great! You will never be disappointed. My wife and I both ordered seafood which can make or break a dining experience. Both dishes were well prepared and perfectly cooked. Service was adequate. 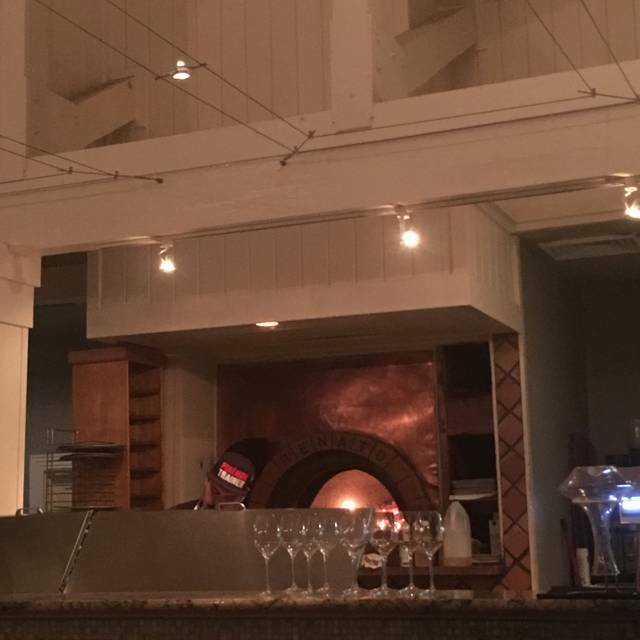 The restaurant is lovely and overall it was a great dining experience. We had a party of 4 adults and 1 toddler. Mentioned this as well in my online reservation. We sat near an exit door, normal with having a toddler. I hate garlic and found that some chefs put garlic on steak (WHAT?? ), yes they do. So, I did ask my server if Chef puts garlic on the steaks, "No mam, only salt and pepper, garlic is on the field peas" (which OMG what person does that) was his reply. Garlic Has the fine flavor of kerosene to ME, I cannot help it. My steak came with black paste dolloped on top and garlic was on my steak. Field peas, rather dried black eye peas, were undercooked. Went to cut a pea with my knife and it pinged off my plate. I had intended not to tip my server. I had intended to see the manager. But why, I have no intention to go back to Café 30A so "why?". I tipped my water 40$ for cleaning up the bread my grandson dropped on the floor. 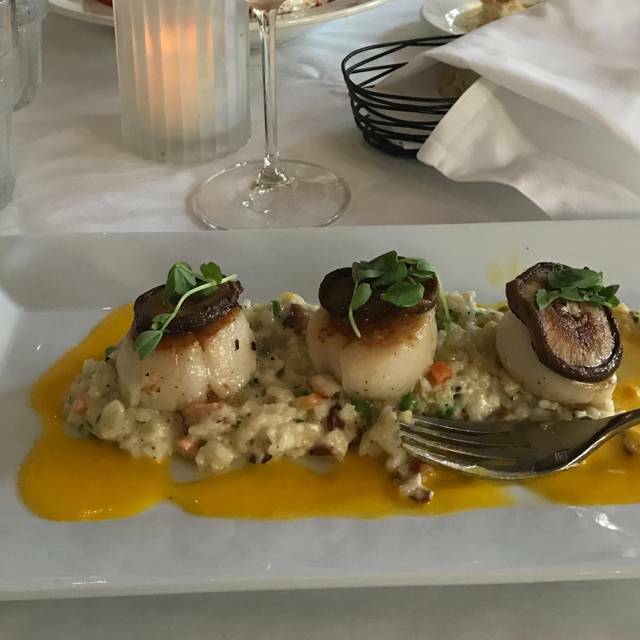 The Vue 30A, Cuvee 30A, Restaurant Paradis, Trebeache, Surfing Deer, Grand Marlin and Emeril's Coastal Italian is the reasons for not caring about rude service and attitude from Café 30A. Had a wonderfully evening. We were seated as requested in the bar area with our favorite bartender’s Jim, Jason and Kerri. The food was sublime, the drinks were first class and the service was outstanding. Cafe Thirty A is the hands down best restaurant on 30A. Had a birthday dinner celebration here and loved it. The food was beyond delicious! It was a little crowded but we didn't mind it at all. The flounder was amazing. Great food; great decor; great service. We love to enjoy Cafe 30-A whenever we are in the area. Cafe Thirty A is one of my favorite restaurants ever! In the 20+years I have been patron, it has delivered excellent food, unpretentious service and beachey ambiance every visit! 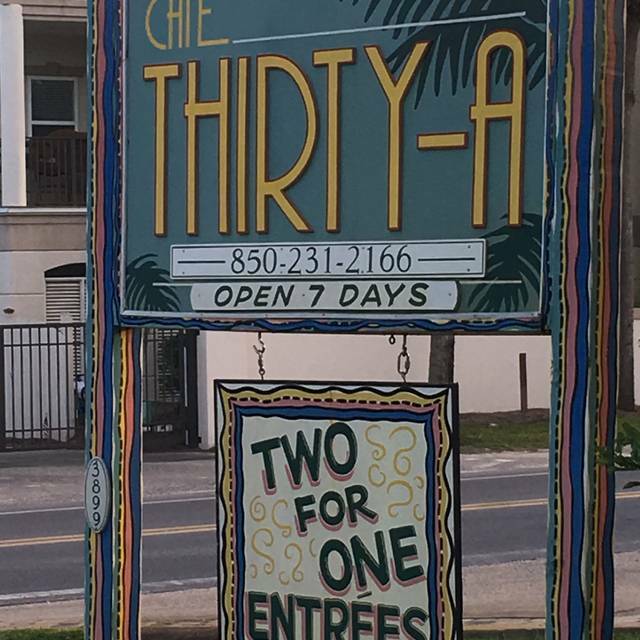 Cafe Thirty A has been my favorite restaurant for over 16 years! The food is always delicious and Jim the bartender makes a killer key lime pie martini. 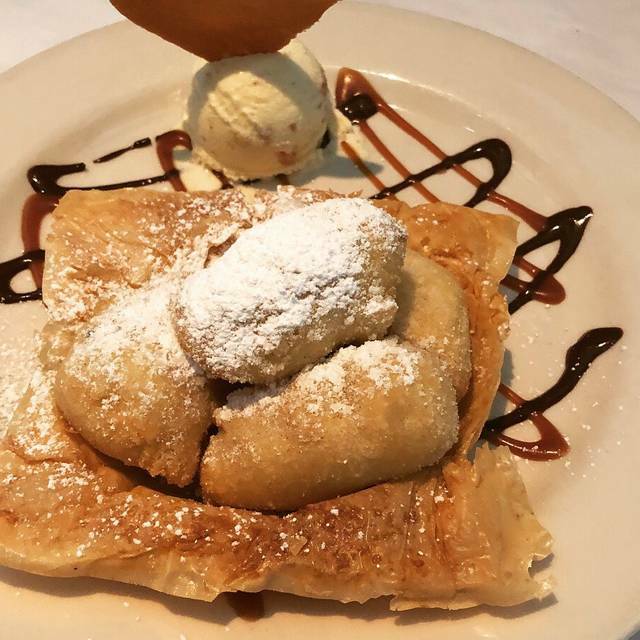 You won’t be disappointed at this restaurant. We enjoyed our dinner, but don't like that you can get martini night martinis in the bar area, meaning you have to leave your table to get one. Also, we were two couples dining together and we mentioned to the server at the beginning of the meal that the bills were to be separated by couple. Each couple got a 2 for 1 entree. One couple, not my wife and me, also got an appetizer, two desserts, and an after dinner drink. The server, against our request, arbitrarily split the bill in half, meaning that we were charged for much more than we would have been had he split it. He said, in light of the 2 for 1 he had to do it that way. Don't see why. This is our favorite restaurant in the area. We dine here anytime we travel to the beach. Service is always great and the food outstanding! We love Café 30 A . Excellent service, soothing ambience, and delicious food. Our server, Jay, made our evening memorable. We will return! Our service was wonderful. Our food was perfect. However we were seated by a table of 8 people who were so loud and obnoxious that we could not converse amongst ourselves and hear anything anyone said. Our server said she would have the manager speak to them however we did not have any peace until they left which was midway our meal!!! We thoroughly enjoyed our evening. It has been a while since we dined at Thirty-A. The Opah was outstanding, paired with the Sancere...great. My wife and I will be back soon. Happy New Year to you and your great staff. 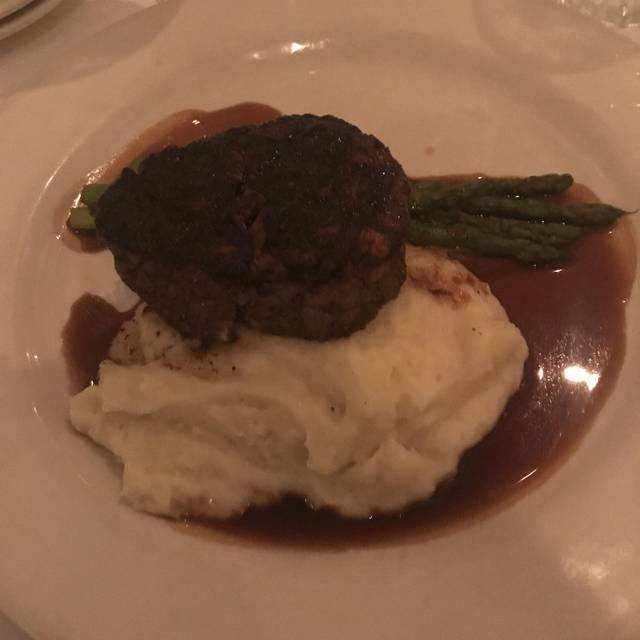 An excellent meal, definitely will return for another special occasion in the future. We were seated at a large square table upstairs and had THE most beautiful and personable server. She was a delight and sweetly interacted with our 3yr old grandson.